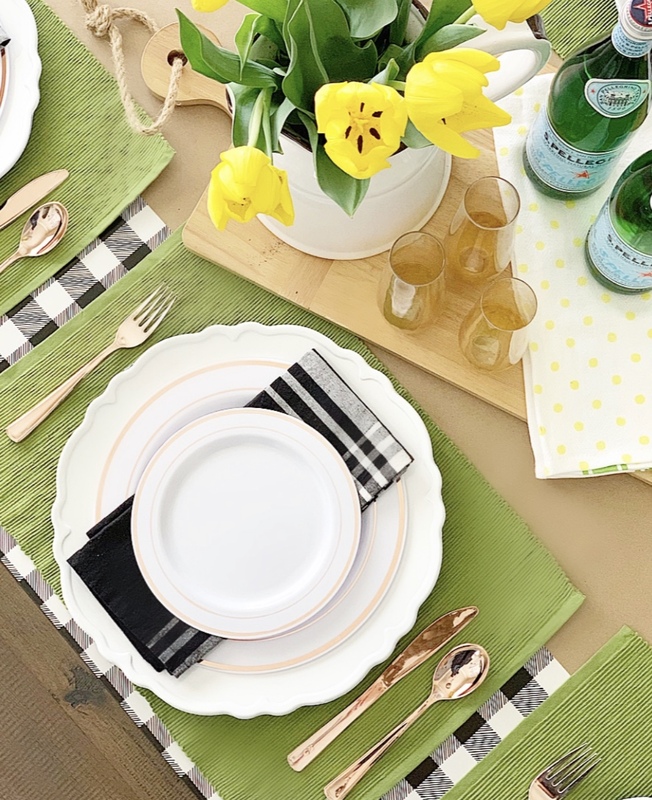 With Easter next weekend I thought I would share a pretty spring table….that’s disposable! That’s right. Set it up, throw it out! I have done my share of hosting, and with a crowd, I want to spend my time with people, not doing dishes! When I host, I often like to wrap my table. Wrapping paper and craft paper are my GO TO! They are less expensive than linens and can just be thrown out after the meal. When my whole family comes over for a meal, my dining room table does not have enough seating, so we bought this table a few years ago. 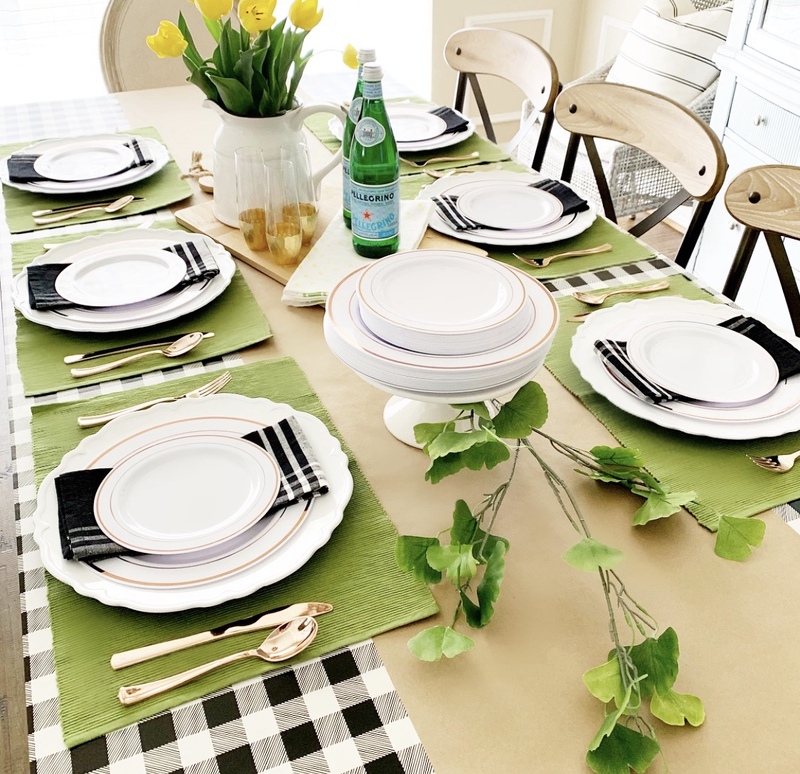 It is super easy to setup and usually serves as the kid table. I wrapped it in this buffalo check gift wrap I got for $3 at Target and taped the edges with painter’s tape. Wrapping paper is perfect for kid parties too because it’s easy to find fun, loud prints or character paper that fits the party theme! 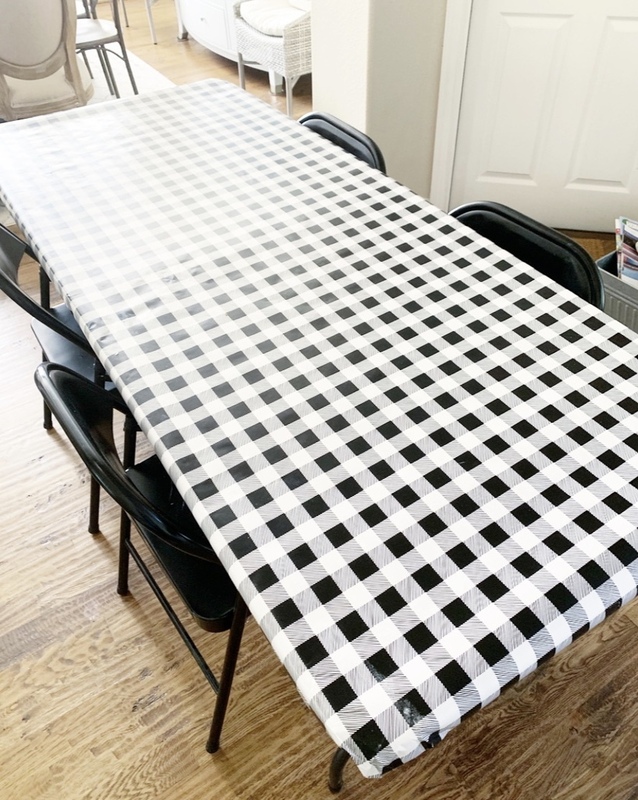 Then I wrapped our dining room table in the same buffalo check and used this smaller roll of craft paper as a runner. This was the size of the roll, no cutting! You can find this size roll here. I almost always have a roll of craft paper on hand! 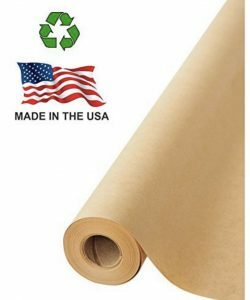 I buy them on Amazon and use them for covering tables, wrapping gifts, craft projects….SO many things! A roll lasts FOREVER!! If you cover your kid table with craft paper I throw out a few crayons and let the kids color on it. 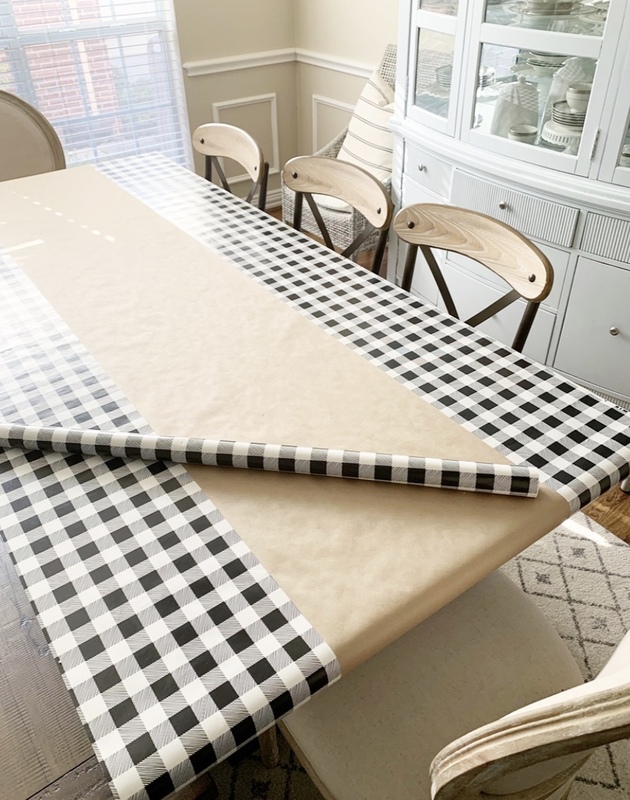 If you cover your serving table, you can write what each item is next to it…..just SO many uses! If you don’t have a roll, prime that bad boy! I think you’ll be surprised how much you use it! 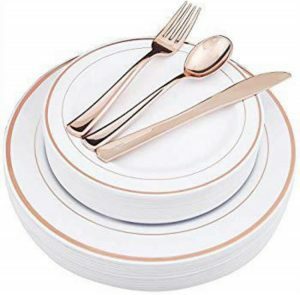 I grabbed this set of rose gold trimmed plates and silverware on Amazon! They come is gold and silver options as well, are fairly sturdy plastic, and serve 25. They look fancy, but they will be in the trash can soon enough! 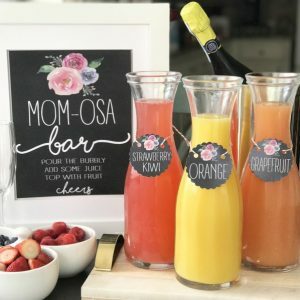 These would also be a great option for a bridal or baby shower! 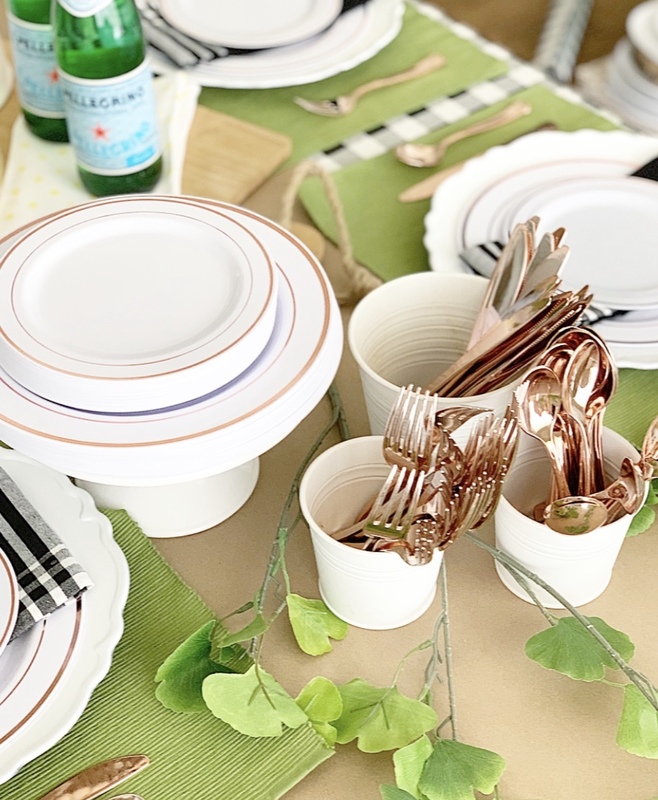 If setting your table feels too fancy for your crew, you can always just set your plates and silverware out for guests to grab. That is typically more our speed at this house! You can find this service for 25 in rose gold, gold or silver here. 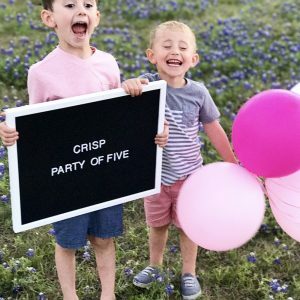 I like to do something a little more fun for the kids! 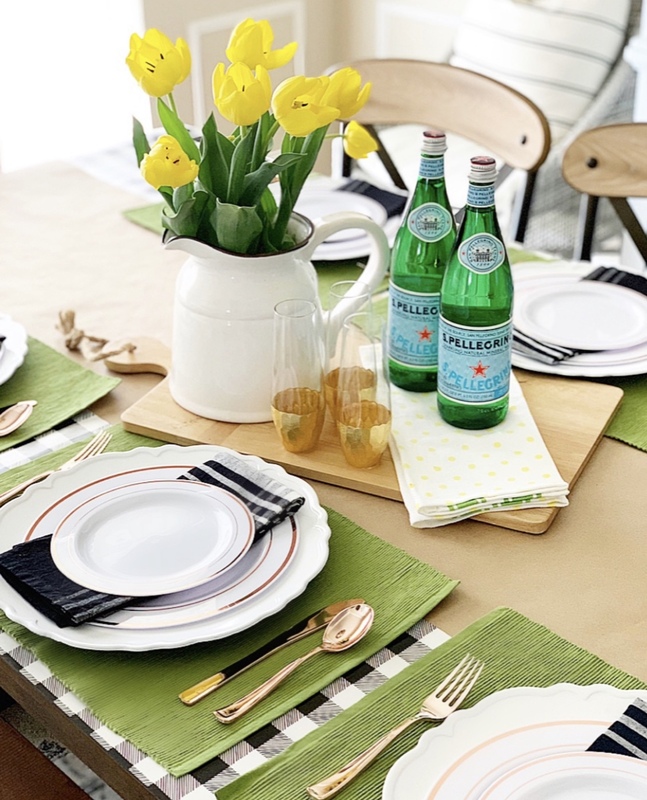 I layered these bright yellow paper plates over my white plastic chargers. My thought was that they would look like flowers….in retrospect they look a little more like eggs, but I guess that works for Easter too. Haha! 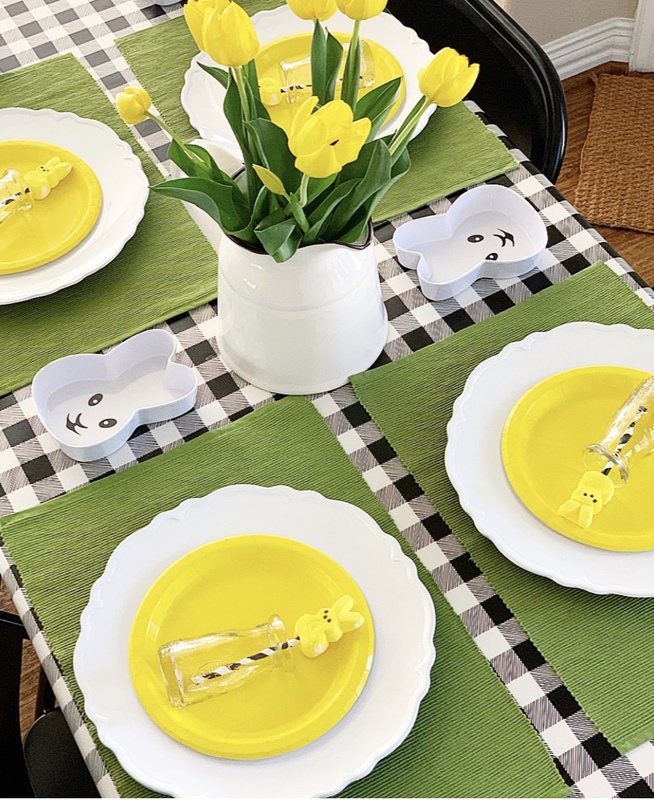 The little bunny dishes are from the Target dollar spot! 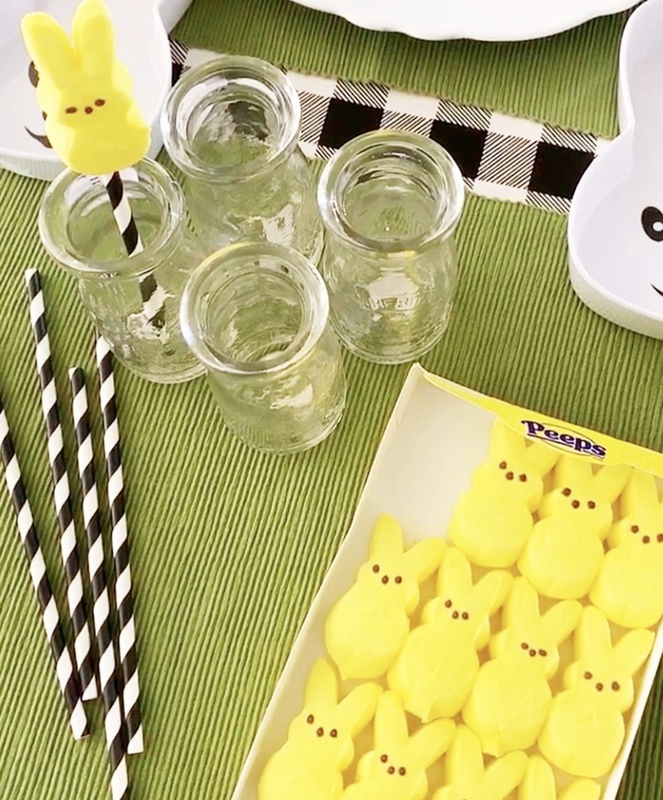 I also grabbed some Peeps (gag!) because my kids love them! I stuck a straw in each one and put it in their milk jars. Just a fun, festive touch! 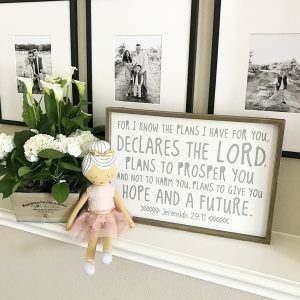 If you are hosting Easter, or any event, I hope some of these tips will make your life a little easier and give you more time to spend with your people! 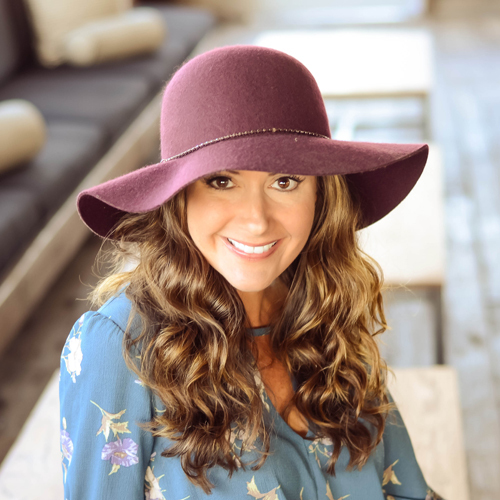 Nobody likes a stressed out hostess, so do yourself a favor and keep it EASY!